Area and oriental rugs are a beautiful addition to any room. They do, however, usually receive a fair amount of traffic, which leads to stains and dirt build up. The professionals at YS Cleaners provide area rug cleaning services with care and attention to detail to restore them to their original beauty. YS Cleaners professionals are trained to clean all types of rugs, from Oriental to Persian. We use specialised tools and equipment designed for whatever kind of rug you have, including synthetic, wool, cotton, silk and many other types. Our effective, yet gentle area rug cleaning and drying process preserves the dye within the fibres of your rug, leaving the colours of your rug vibrant and fresh. And because our cleaning products don’t leave dirt-attracting residue, your area rugs stay cleaner longer. Whether you have a Pakistan-Keshan or a Romanian-Tabriz, you can trust our expert technicians to clean your area rug. 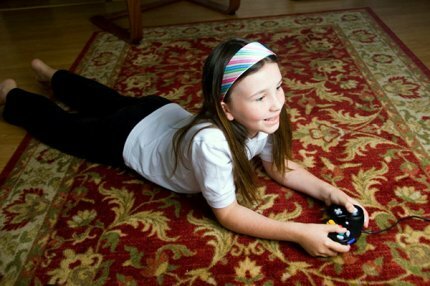 They will evaluate your rug in order to provide the safest, most effective process for cleaning your particular rug. Due to a wide variety in construction materials and styles of area rugs, we will gladly provide an in-home analysis of your area oriental rug and prepare a no-obligation quote. Trust your finest rugs with the best cleaning professionals at YS Cleaners. YS Cleaners wants the quality of your rug cleaning to reflect the standards of the company. That is why YS Cleaners only hires trained, professional carpet and rug cleaning technicians that have gone through the extensive training process. This extensive process must be completed before being entrusted to perform services and knowing how to accurately use our powerful carbonating cleaning method. Just had my carpets & upholstery cleaned from YS Cleaners!!! What a fantasic job! Highly recommend and they have a customer for life in me! Thanks for the great job again! Preparing for a rug cleaning is an easy 5 step plan. Follow the steps below to ensure your house is ready for your YS cleaners. Step 1: Remove Any Clutter. Our YS Cleaners area rug cleaners will vacuum before the main cleaning process. We don’t want clutter to get in the way, such as shoes and toys. Not only that, but these items can be tripping hazards and we would like to ensure our cleaning professionals and you stay safe. Step 2: Safely Remove Furniture. Many people place their area rugs underneath coffee tables and other small pieces of furniture. While these pieces are essential for the room’s décor, it can get in the way of cleaning. Our technicians are experts at oriental rug cleaning, but not licensed movers. Set furniture pieces to the side or a nearby room, then move them back after the rug is cleaned and dry. Step 3: Note Stains and Other Concern Areas. Once you have noticed a stain on your rug, it can be impossible to look at it the same. We certainly want to make sure you are satisfied once we have completed cleaning your area rug. If there are certain areas that deal with high traffic or stains, please take note and share with your YS Cleaners specialist. Step 4: Prepare Your Pets. A new visitor to the house with equipment and new smells can potentially agitate your pets, so make sure that you have prepared for this. It may be wise to have your pet stay with a friend, closed in another room or put in the backyard. Step 5: Clear a Path. It can be easy to forget a technician needs to get himself and the equipment from his vehicle to your rug. Make sure there is a clear pathway so he can safely and efficiently clean your rug. Some equipment is attached to the van, so it may be a good precaution to move cars out of the way too. Area and oriental rugs continuously are collecting dirt, allergens, and bacteria from heavy foot traffic. A professional area and oriental rug cleaning is the only way to remove these allergens and dirt stains to ensure your house is clean and healthy. Is YS Cleaner’s cleaning process safe for my rugs? YS Cleaners’s effective area rug cleaning and drying process gently preserve the dye within the rug fibres, leaving the colours of your rug fresh and vibrant. Our products don’t leave behind any dirt-attracting residues, a feature which help your area rugs stay cleaner longer. *Based on results from a study conducted by an independent laboratory using YS Cleaner’s Hot Carbonating Extraction process. Allergens tested were dog and cat dander and dust mite allergen. Airborne bacteria results include the use of sanitiser. Figures are an average across multiple homes.